On November 4, Rosoboronexport (part of the Rostec State Corporation) celebrates its 17th anniversary. The company was set up by the Russian President’s Decree in 2000 as Russia's state intermediary for importing and exporting a full range of military and dual-use products, technologies and services. Rosoboronexport is a 100% state-owned company. In 2007, the management of its stocks was transferred to the Rostec State Corporation. "Over 17 years, Rosoboronexport has become one of the leaders in arms supplies, having sold products worth a total of over $140 billion. We show good results in foreign trade, and the country's leadership doesn't leave this success unnoticed. 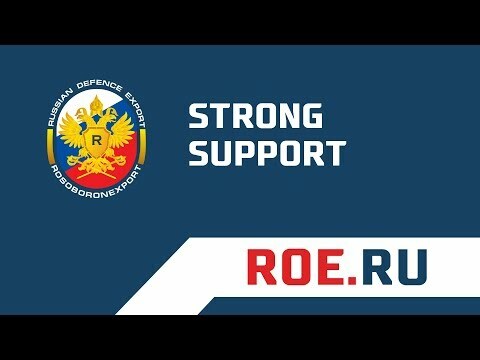 For their great contribution in developing military-technical cooperation with foreign countries, 34 Rosoboronexport employees were awarded by Russian President Vladimir Putin," said the CEO of Roctes, Sergey Chemezov. In 2017, Rosoboronexport did a lot to expand export geography of Russian armament and military equipment, as well as to increase the range of Russian military and dual-use products, supplied to foreign customers. Rosoboronexport is actively cooperating with more than 50 countries worldwide; and their number will further increase by the end of 2017, despite unscrupulous actions of some countries, competing with Russia in the global arms market. "Rosoboronexport's order portfolio currently amounts to about $45 billion, which proves high competitive edge of Russian defense products on the global level. A considerable share of the portfolio are contracts to purchase Russian high-tech systems, primarily aircraft and air defense systems. In addition, Rosoboronexport is discovering new market segments, developing exports of civilian and sporting weapons and making turnkey national security systems that use cutting-edge information security solutions. For hundreds of Russian companies Rosoboronexport became a guide to international success, an indispensable assistant, and sort of a one-stop service, which has powerful governmental support, respect from foreign partners, expertise accumulated over tens of years, and latest marketing technologies," said the CEO of Rosoboronexport Alexander Mikheev.